What is Fuse Blocks? / SHINING E&E INDUSTRIAL is a professional manufacturer of Electrical Terminal Block, Fuse Holder, Fuse Block, Solid State Relay (SSR) for more than 35 years. Fuse Blocks are important electrical components intended to protect a vehicle's electrical devices from shorts or power surges. The fuse blocks contain fuses rated at different amperage values depending upon the electrical device that it is protecting. Upon a sudden voltage spike or short, the fuse will burn out, protecting the affected device. Changing a fuse is a straight-forward operation. Once the appropriate blown fuse has been located, it is pulled from its mounting location within the fuse block. A new fuse is simply inserted into the vacated location in the fuse block. It is imperative that the same amperage rated fuse is used when changing any blown fuse. Electrical fuse blocks use fuses rated from 15 to 100 amps. This rating coincides with a particular electrical component's ability to withstand damage. 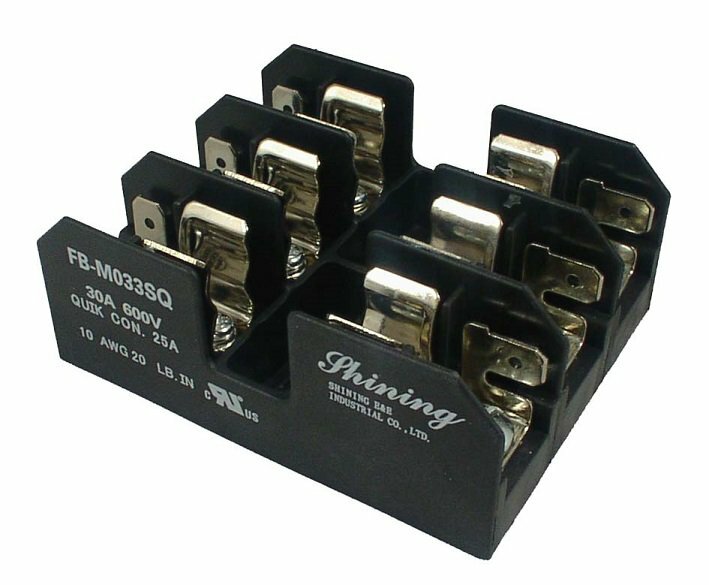 The fuse blocks are designed to allow the fuse to blow or burn out before the component can be damaged. Replacing any blown fuse with a fuse of a higher amperage rating could cause irreparable damage to the electrical component.